Measuring your project allows our Technical Sales Representatives to give you a more accurate idea of project costs, and is usually fairly straight forward. You will need a tape measure, calculator, notepad and pen. Measure the length of the walls you wish to install the Baseboard Sheets and times this measurement by the height of the wall. This will give you the total square meters of Baseboard you will require. e.g. 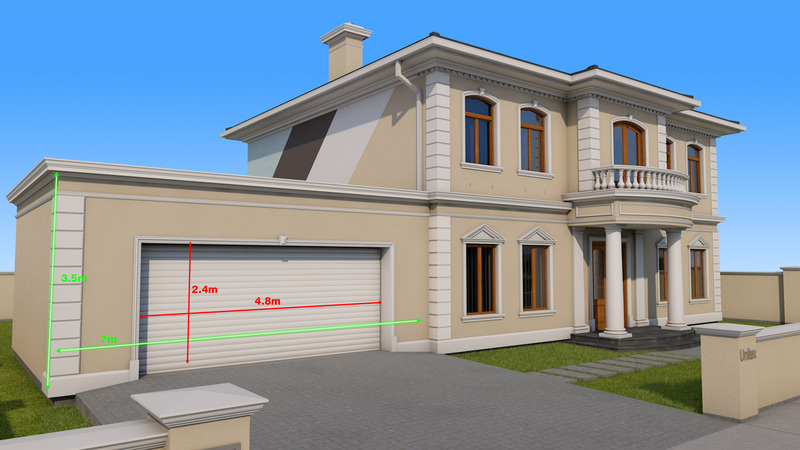 A wall that is 7.0m long x 3.5m high: 7m x 3.5m = 24.5m2 Note: If you have any large windows and doors (over 3m2 of area) in the wall areas you are measuring, deduct ½ of these from your calculations. Leave all smaller windows (less than 3m2 of area) in your calculations. This will give you enough product to allow for offcuts and wastage etc. Input the total square meters into the online calculator to calculate the total number of Baseboard sheets you require. Input the total lineal meters into the online calculator to calculate the total number of Baseboard Blocks you require. Measure the quantity of External Angles you will require. External angles are required around all windows and doors, along with all external corners of the building. External angles are supplied in 2.7m lengths and it is ideal to use one continuous angle wherever possible, not joining angles i.e. A window that is 2.4m High, allow one 2.7m length for each side. Calculate the total quantity of external angles you require for the building and input into the online calculator. Once these three quantities have been input into the online calculator, all remaining product quantities for the system you have chosen will be calculated. It is good practice to add a percentage for wastage/offcuts. Professionals add approximately 5-10% to each job to allow for variations. Once you have measured up, and filled in one of the Base Board System Calculators below, Contact our team for a quotation or to make an order. Note: If you have any large windows and doors (such as the 4.8m x 2.4m opening in the example shown) in the wall areas you are measuring, deduct ½ of these from your calculations. Leave all smaller windows (less than 3m2 of area) in your calculations. This will give you enough product to allow for window reveals / wastage etc. Contact your local Unitex Office or representative to recommend the appropriate render and quantity for your specific substrate and needs. Window mouldings can be installed in various configurations, such as with a window sill mould (Figure 2), or, as a picture frame (Figure 3), or combination (Figure 4). Prior to measuring mouldings, please decide on the look you wish to achieve as this will affect the lengths of mouldings you require. Measure across the area you wish to install mouldings on, and divide by 2.4 or 3 (stringer mouldings generally come in 2.4 or 3m lengths) remembering to allow extra for any mitre. 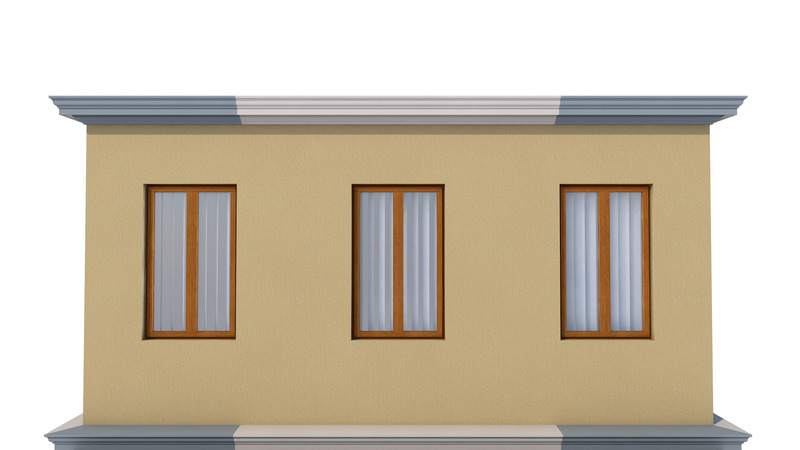 It is ideal to space the joins of the mouldings evenly per façade to achieve the best results. Measure all four sides of Pier and provide to Unitex. A lot of piers are not exactly square, so measuring all four sides is essential. Please note: if your piers are going to be rendered, however are not rendered as yet, either wait until rendered to gain exact measurement of piers or make an allowance for the render thickness to be completed. Unitex columns are available as standard in 3m lengths and can be cut down to size on site. Note: If you are using a tapered column, cut any excess from the base of the column. These columns are manufactured with the first meter straight so any trimming required will not affect the diameter of the column ensuring standard column bases can be used. If you require a height greater than 3m, please contact your local Unitex Office or representative for recommendations.